In celebration of Women’s History Month in March, the acclaimed documentary “Strong Sisters,” which tells the story of elected women in Colorado, is available to download for free through the end of March, its producers said Friday. Women have been getting elected to office in Colorado longer than anywhere else in the world, and the 75-minute film tells their story. Written and produced by Laura Hoeppner and Meg Froelich, the film features interviews with 76 current and former female elected officials, historians, journalists and campaign strategists. The story starts when Colorado voters approved women’s suffrage in 1893 — decades before women won the right to vote nationally and the first time a state granted women the vote by referendum. Voters elected three women to the Colorado General Assembly the next year, making the state the first parliamentary body in the world to swear in women lawmakers. 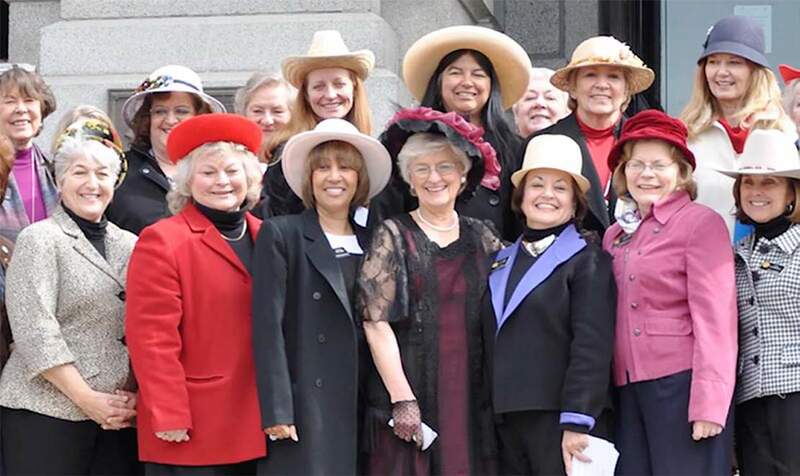 To this day, Colorado is among the states with the largest share of women serving in its legislature. Strong Sisters: Elected Women in Colorado from Daniel Ketchum on Vimeo. The free digital download is available on the film’s Vimeo page, courtesy the film’s editor, Dan Ketchum. More of his work can be viewed at his home page. “Strong Sisters” debuted March 6, 2016, in Littleton at screenings that featured many of the women involved in its production. It has been shown at film festivals, panel discussions and special screenings dozens of times since and has aired on public television. Visit the film’s online home to find out more, including video clips, historic background, a teacher’s guide and upcoming screenings. A list of public libraries across the state that stock the DVD can be found here: www.strongsisters.org/libraries.